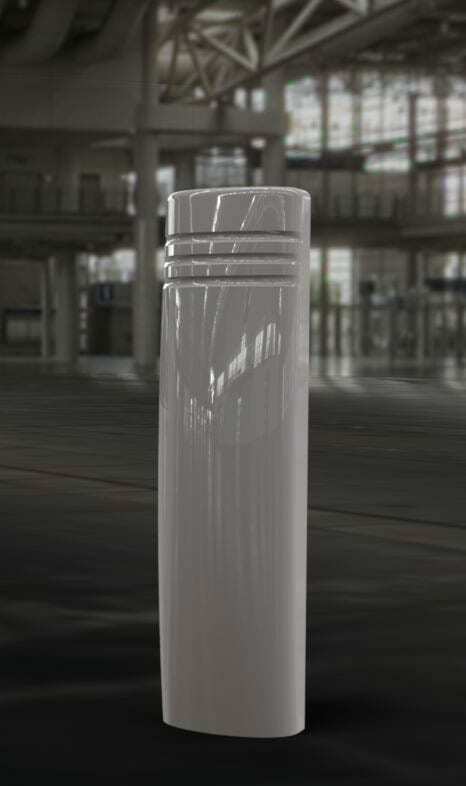 Bollards by Shug are locally made, long lasting, super strong and come with a no BS guarantee. And just for good measure are reasonably priced (only a fraction more than those cheap imports). If you need some serious protection then Shug's Bollards are ideal. No cheap imports here. 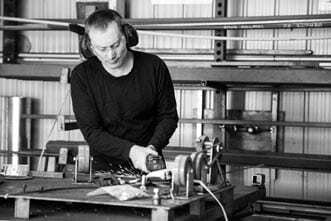 My bollards are built right here in my Melbourne workshop. Australia's strongest & affordable bollard. My bollards are built to last. 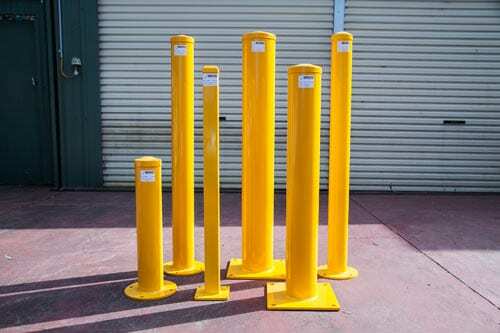 Made from the best Australian steel products available, my bollards won’t let you down and will look great for years. I don’t use cheap or nasty products from overseas, ever! I’m passionate about bollards and treating my customers properly. I almost always have stock on my popular products on hand, so there’s little turnaround time. If I need to make something for you it’s typically done in 7 – 10 days, maybe sooner. I’m convinced you won’t find a better bollard at such a reasonable price. I stand behind my work and offer a warranty on all my bollards. My premium bollards come with a LIFETIME guarantee. Some people think I'm a little crazy. Maybe I am, but I take the construction of bollards very seriously. Each day I strive to make them stronger and more effective. Bollards can save lives and stop serious injury - so they need to be made with care and attention. I hate cheap and nasty products. It upsets me to see poor welding or a job not finished to the proper standard. It almost makes me cry when I see bollards that can be pushed over by a shopping trolley. I live by these principles each day: The best material. Super strong design. 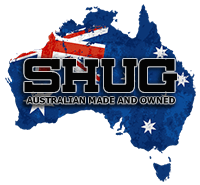 Support Australia. Excellent service. Stand behind your product. This is the best value bollard I’ve ever made! It’s super strong but without all the bells and whistles of other designs. It’s cheap, but certainly NOT nasty! How a simple design change has made the standard bollard infinitely more safe and effective. This beast will stop any unwanted vehicle from accessing protected areas. 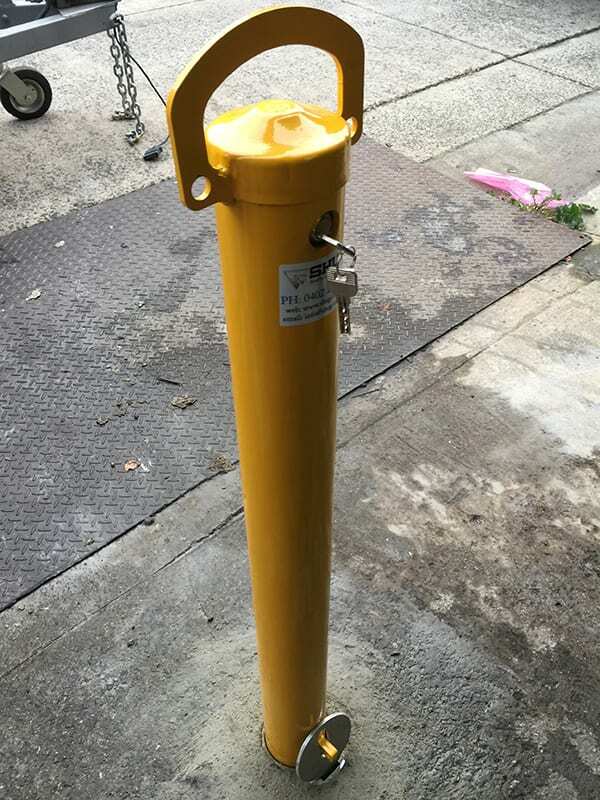 My most popular bollard and Australia’s strongest collapsible bollard. This unit will bolt down into concrete (footing) and is ideal to stop vehicles and protect pedestrians. Can also be used to keep gas and water meters safe. Can’t find what you need? I can build almost any bollard to suit your needs. You’re only limited by your imagination. Yes, everything is just fine with the parking bollard. Very happy. Months and months of frustration and trying to find owners of vehicles using the space has now been whipped away immediately with the installation of your product. Thanks for the good work. I have installed padlocks and given keys out. The bollards are really good and we are happy with the work you have done. Many thanks for your good work. Happy to recommend you to others. After continuous problems with neighbours using my parking area I contacted Shug to enquire about their Parking Bollards. The proprietor Mr James Strachan was extremely informative & helpful in assisting me to select a bollard that was suitable to my parking area. This was supplied & personally fitted by James who travelled some 30km's to solve my problem. He was very professional & courteous.I would recommend anyone requiring a parking bollard to contact James at Shug. A great product and a terrific personal services. Thank you so much James.